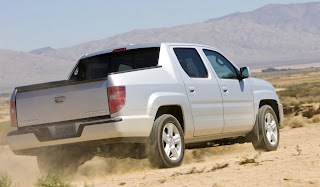 According to recent reports, Honda may replace the ill-fated Ridgeline with a CR-V-based truck. The Ridgeline light-truck hasn't been the best-selling vehicle in the brand's line-up and as such, it will be axed from 2013. The vehicle was plagued by two main problems; its exterior style and poor fuel economy. Although nothing is official, the new pick-up could bow in Spring 2013. As it will underpin the CR-V architecture – which is unable to house a V6 – a 4-cylinder petrol engine will be offered, that will inevitably hit towing capacity. Look out for a huge jump in fuel economy, with a possible 30mpg highway rating.